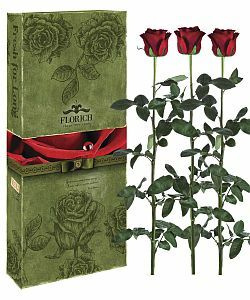 FLORICH roses are available in three versions: one rose in a gift box, three roses in a gift box, a long-lasting rose individually - without a box. There is a very large color range of roses, from the usual red, to exotic roses of blue or roses of black color. Roses in a gift box - will serve as an excellent gift by themselves, but roses are used individually for making bouquets or compositions. 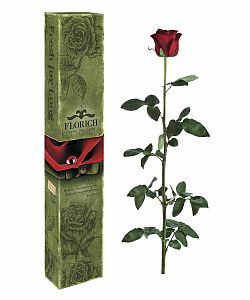 If you are looking for an original gift - long-lasting FLORICH roses - this is what you need. This is the dream of every girl, when she receives flowers as a gift, so that roses as long as possible are as beautiful as they were presented. 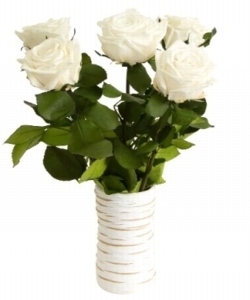 Order now a long-lasting rose with delivery in Ukraine and surprise your loved ones with such an unusual gift!